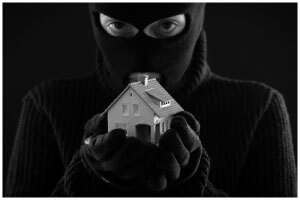 Recorders play an essential role in preventing deed fraud. As with notaries, however, the recorder's office and its employees are not responsible for determining the authenticity of each instrument presented to them. The Recorder of Deeds for Cook County, Illinois, is working toward changing state law to allow recording offices to intervene before the transfer under the forged deed takes effect. Until this happens, though, recorders in Illinois and the other states are only permitted to verify that submitted documents meet the minimum requirements for recordation. Working within the current framework, increased fraud detection training coupled with more stringent adherence to the current rules could discourage abuse. Employ an on-site attorney to evaluate the documents prior to accepting them. This option could be cost-prohibitive in some locations. It could act as a strong deterrent in jurisdictions where deed forgery is a consistent issue. Provide a fraud prevention notification program as a service to property owners. Alerts owners of real estate when the enrolled land appears in a recorded document. Offer automatic signup with recording. A national registry may be impractical, but implementing a statewide program is a more manageable option. Add a witness requirement, in addition to notarization, for documents transferring land ownership. This might help, but Florida requires two witnesses on real property transfers (Florida Statute 689.01) and they still have a problem. Maintain database of notaries who have previously been involved in forgery. Arizona's allows a general search based on location, name, etc. Cross-checking a database of active valid notaries prior to recording should increase the chance of flagging a forged notarization. Include an option for notaries to report lost or stolen stamps to the same registry. State that documents with island notary pages are invalid/not suitable for recording. Require notarized grantee signatures and ID. Designate harsher penalties for deed forgery. Forgery is already either a felony or a serious misdemeanor in all 50 states. Specifically classifying deed forgery as a felony might encourage reluctant local law enforcement to investigate allegations. Increase criminal prosecutions and penalties. Recorders are obligated to process deeds that meet minimum statutory requirements. They are expressly forbidden from analyzing the contents of documents presented to them because that review might cross over into unlawful practice of law. Still, it makes sense to expand the authority of recording office staff, at least allowing them to suspend acceptance of deeds containing potential irregularities until the suspect information is verified.